Hello! 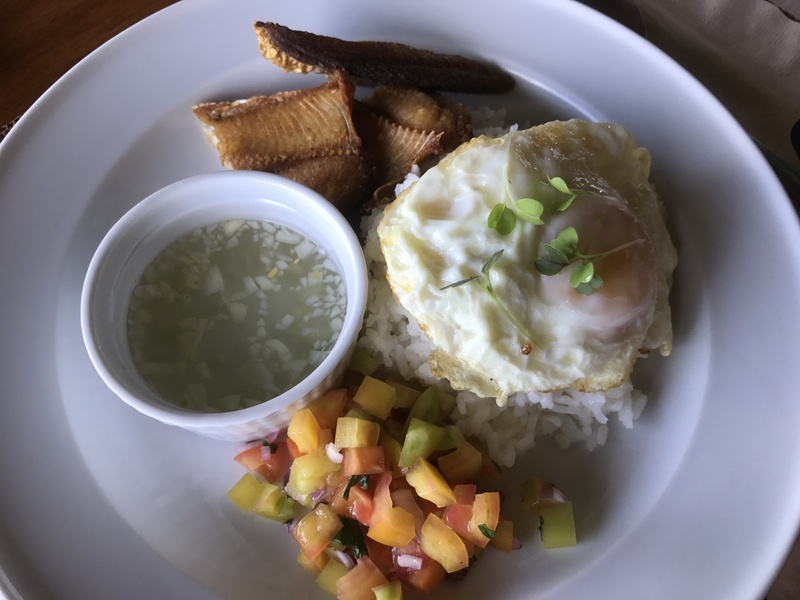 We just got back from an excellent 2-week Philippine vacation. 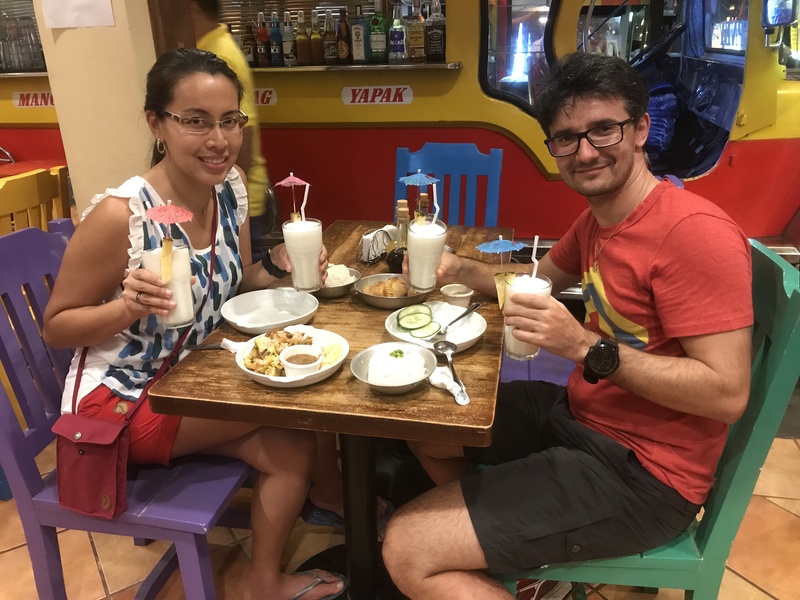 We explored Coron, Boracay, Batanes and then spent time with my family in Manila. It was Cuski’s first time in the Philippines and it was so great to show him where I came from and also showcase the natural beauty the Philippine islands has to offer. A lot happened on this trip so to avoid an extra long blog post, I just chose 6 highlights, in no particular order. 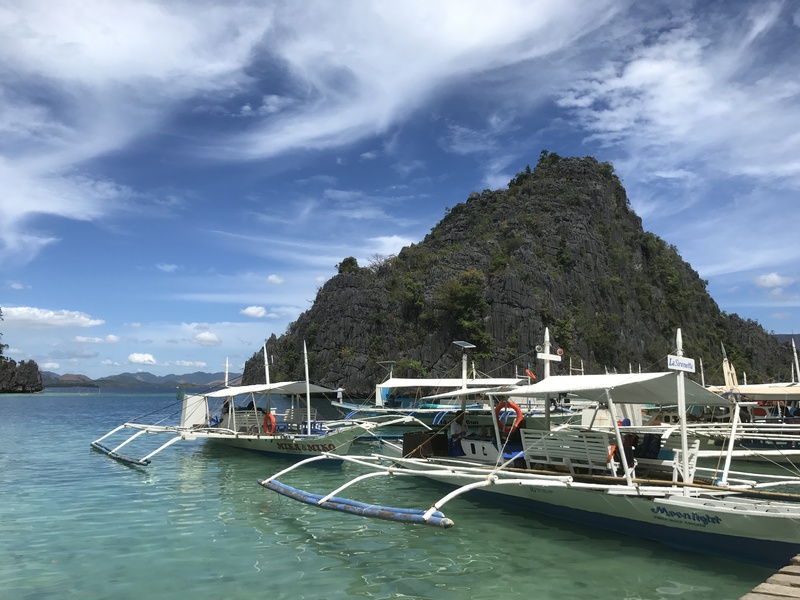 Coron is known for its coral reefs, marine life, and sunken Japanese WWII shipwrecks. 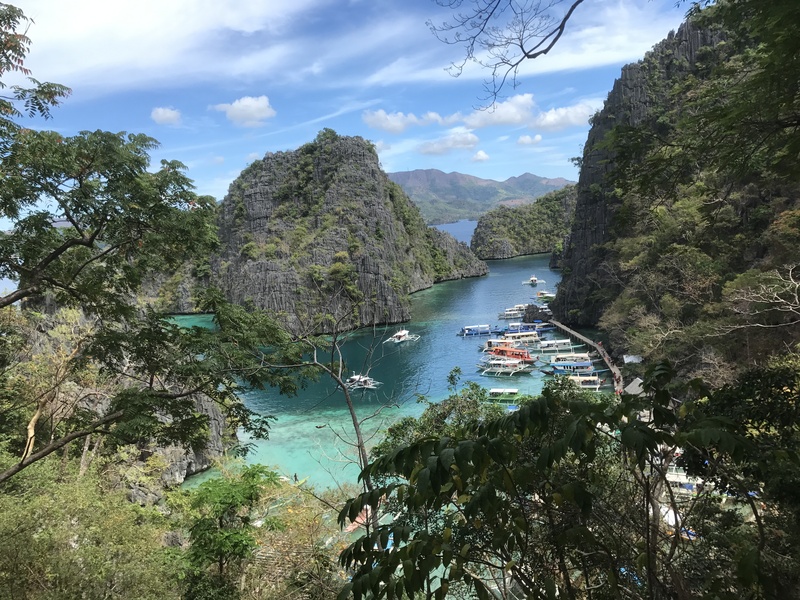 We managed to spend two days island hopping and stopping at the main sights (Kayangan Lake, Twin Lagoons, Siete Pecados, etc.) so we can swim around and observe the world below us. 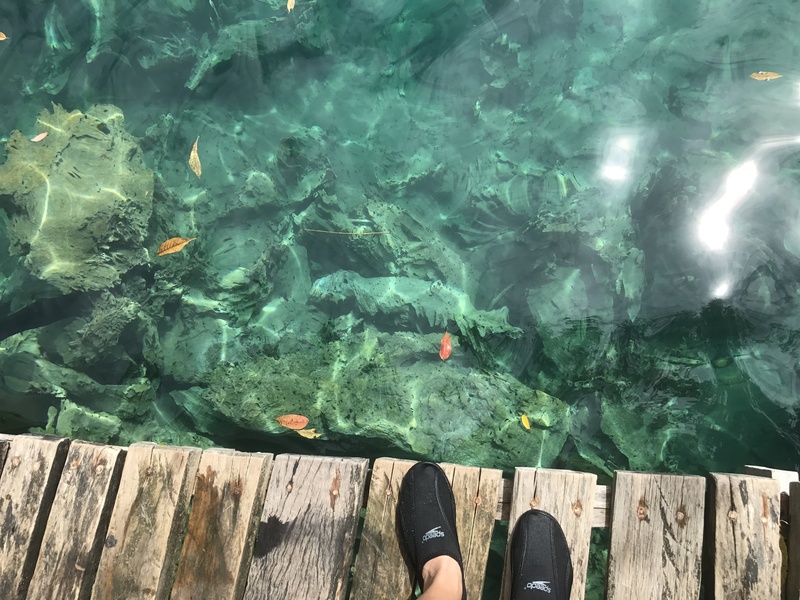 We saw so many colourful tropical fish (clown fish, angelfish, parrotfish and more), sea urchin, and corals of all shapes and sizes. On the second day, we joined a shipwreck-specific tour and saw a few wrecks. I’ve never seen them before and found it fascinating how much coral has formed on these ships in over 60 years. The Lusong Gunboat wreck was shallow enough that you could stand on it. The water was rough that day so I couldn’t really get my balance but it was cool nonetheless. Since the last time I was here, tourism seemed to triple (or more). I’m just glad it hasn’t been commercialized and it seems that they have been taking care of the environment here. 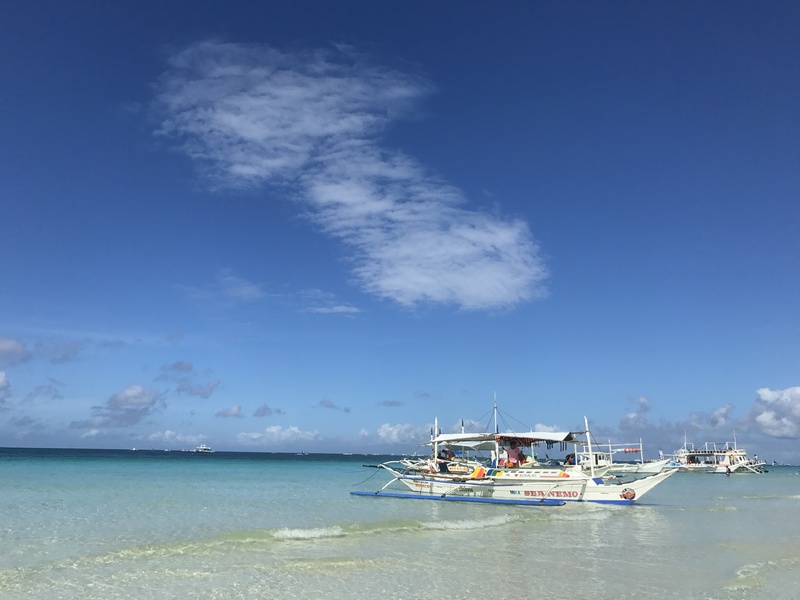 My favourite beaches of this trip were at Pass Island and Boracay. Pass Island was our lunch stop on our second day of island hopping in Coron. It’s a small island of white sandy beach, mangrove trees, and clear turquoise water for many miles. We ate lunch under a canopy of coconut trees with this magnificent view. I wanted to stay here longer, no doubt about that. 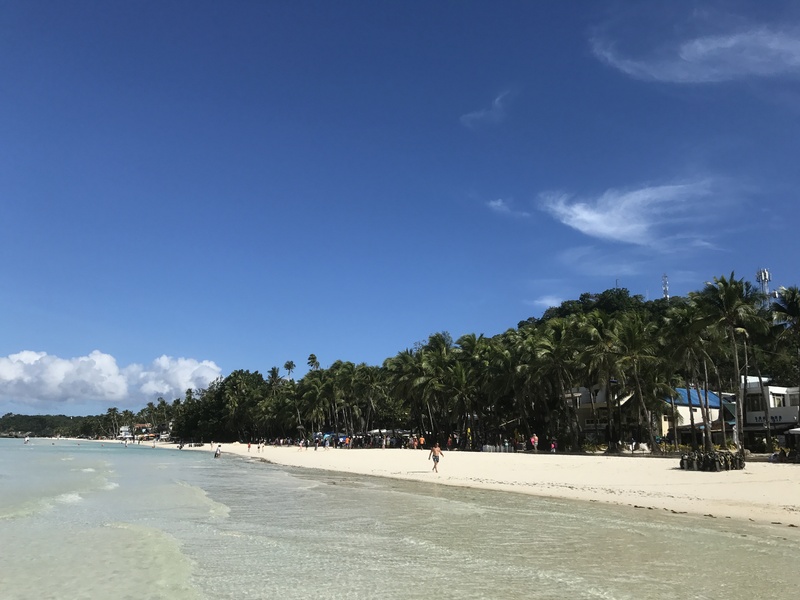 Boracay’s beaches are world-class and this year, it’s the best I’ve seen it. 6 years ago, the beach was covered with green algae. It’s a common annual phenomenon and I was expecting it again. However, there was no algae to be found. 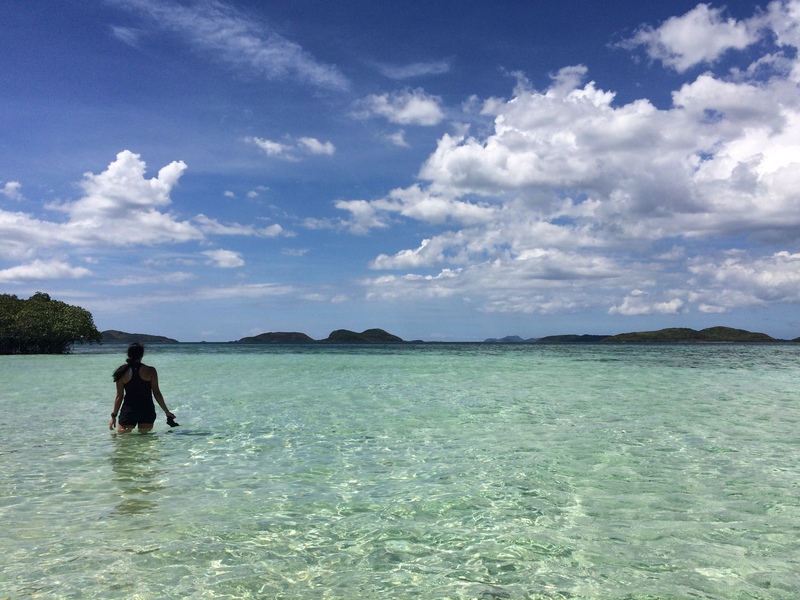 I loved the fine white sand and refreshingly cool water, and again… so much blue. My only complaint was the boat traffic, there’s so many! The pictures don’t really depict it but trust me. It was packed at one point, thanks to all the tours. 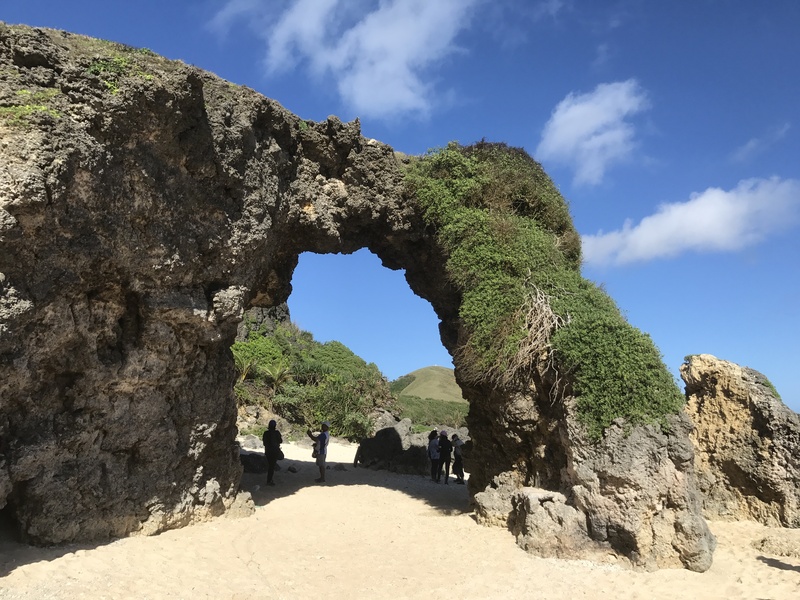 Batanes is quickly gaining popularity as a tourism spot. It is the northernmost province in the Philippines (in fact, it’s closer to Taiwan than the main Philippine island of Luzon). It encompasses 10 islands, 3 of which are inhabited. 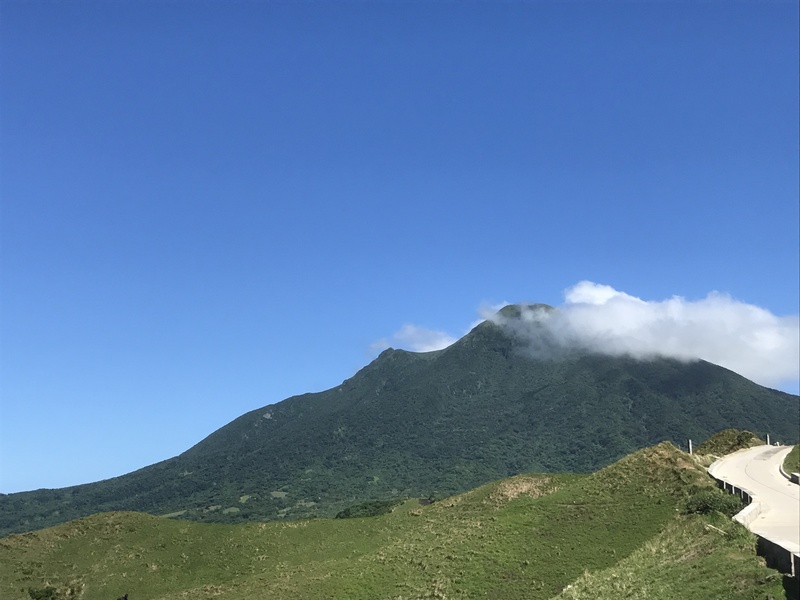 We stayed in the town of Basco and toured the north and south of Batan Island, plus a boat trip to nearby Sabtang Island. 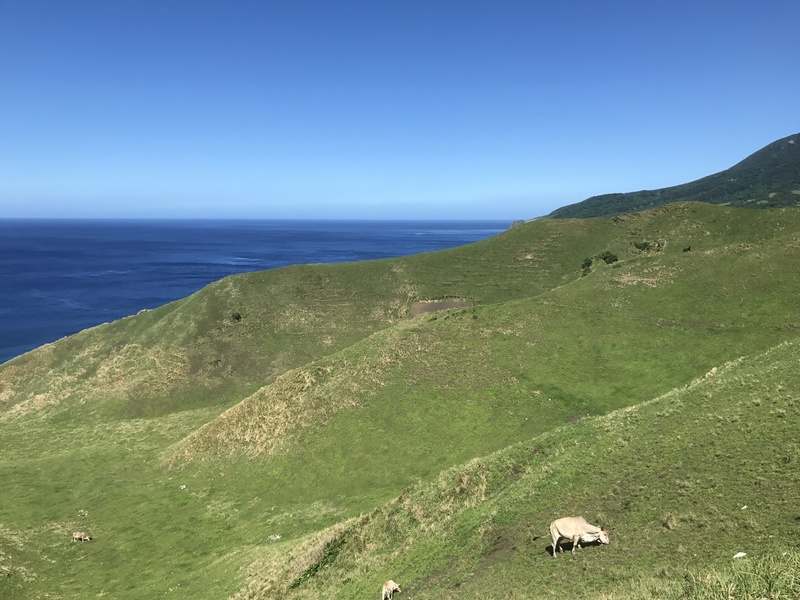 Batanes is known for its lush green landscape, crime-free reputation and friendly people. The landscape has been compared to New Zealand and Ireland. 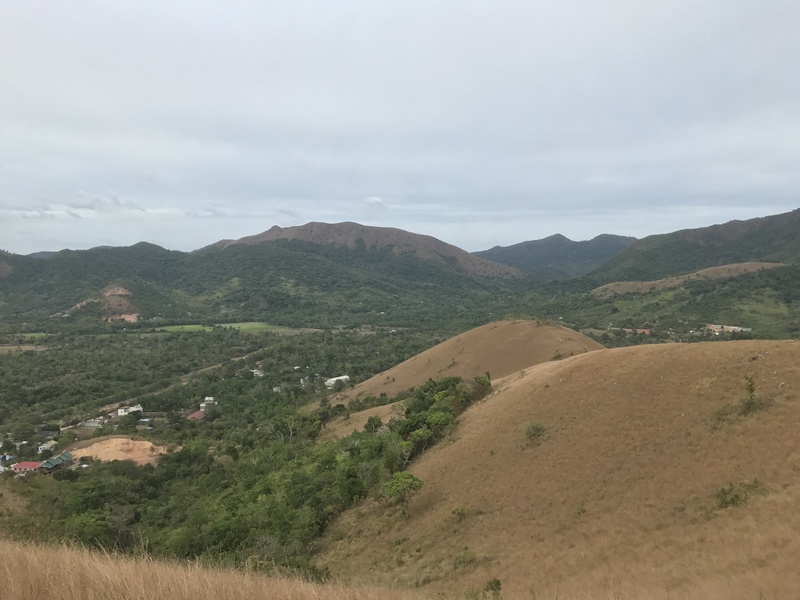 We were in awe over the greenery, the amount of pasture land for cows and goats, the friendliness of the townspeople, and their delicious local cuisine of mostly dried (preserved) fish and meat. It’s definitely a must-see but beware, there’s hardly any cell reception nor internet access/WiFi. I’ve had friends message me wondering where I was since I wasn’t online for 3 days 😛 Join a tour (we highly recommend Bisumi) and you’ll learn so much about the ways of the Ivatan. 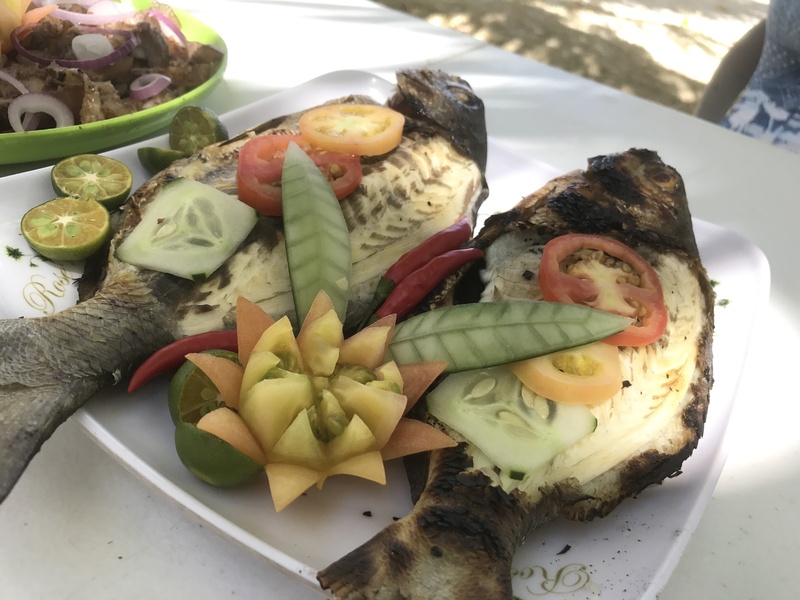 In addition to its natural beauty, you can also check out the Honesty Cafe in Ivana (where there is no cashier and they rely on you to put in the right amount), try on traditional Ivatan grass clothing or explore a Japanese tunnel constructed in WWII. You can hike up Mt. Iraya but you need a permit. It’s also a bit of a scramble at the top. It’s not beginner-friendly. We also did a little bit of hiking while on vacation. In Coron, we climbed up Mt. Tapyas, the highest point in Coron town. It took us about 10 minutes to climb a 700-step steep flight of stairs so we can see a nice viewpoint of the town. Behind the large cross, we discovered some trails that went up and down a bunch of hills. If we had kept going, we could’ve ended up at another part of the island so we decided to turn back after a certain distance. It looked amazing though. 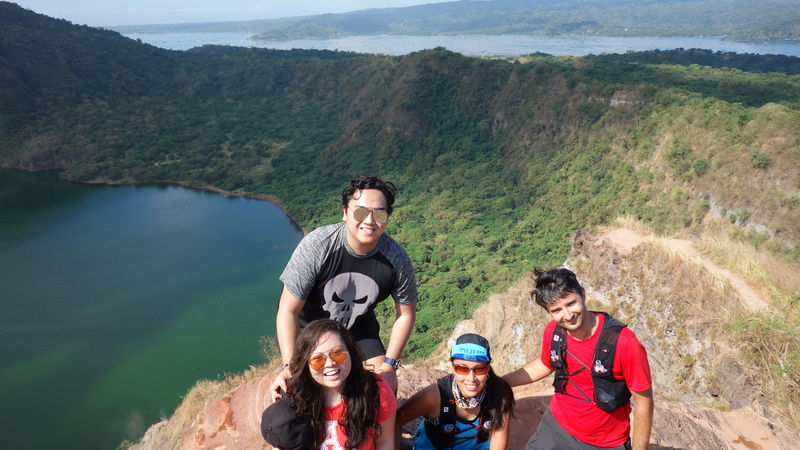 Back in Manila, we convinced my cousin and his girlfriend to hike up Taal Volcano with us. It is the world’s smallest active volcano. With less than 200 m of elevation over approx. 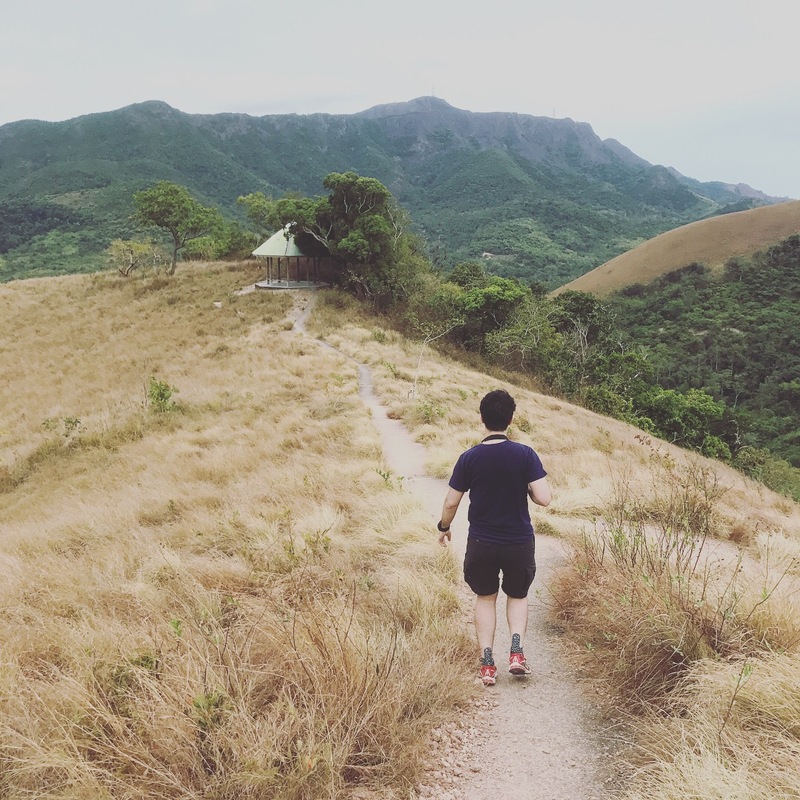 2 km, anyone can easily hike up, but if you wish, you can also go up via horse. (Please don’t do it, it’s an easy hike and the horses are very small.) 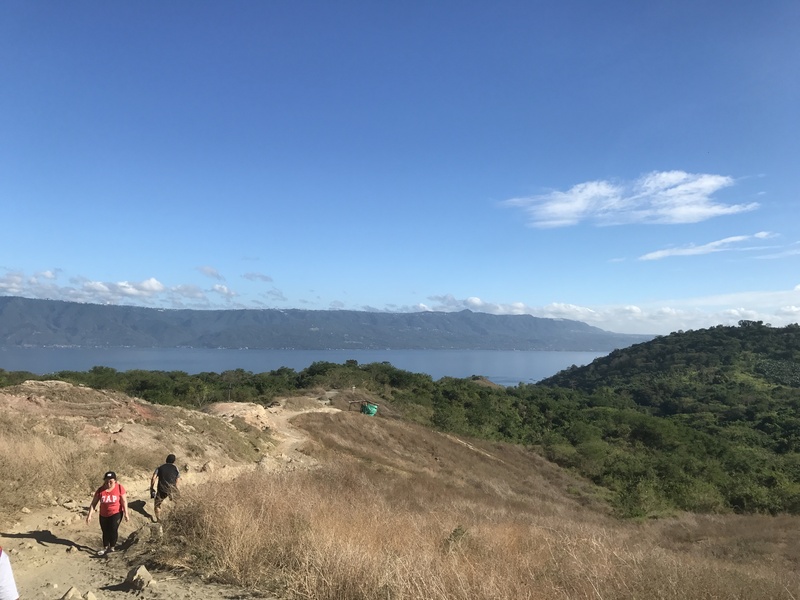 You have to take a boat to the volcano and a guide will walk up with you. The trail is mostly sand and some rock here or there, not very technical at all. Along the way, you’ll see some steam coming out of the rocks, a reminder that something is stewing beneath you. We started early in the morning, which meant that the trail was empty and it wasn’t as hot. You may want to bring something to cover your face from the dust. When the horses are on the trail with you, they kick up a lot of dirt. 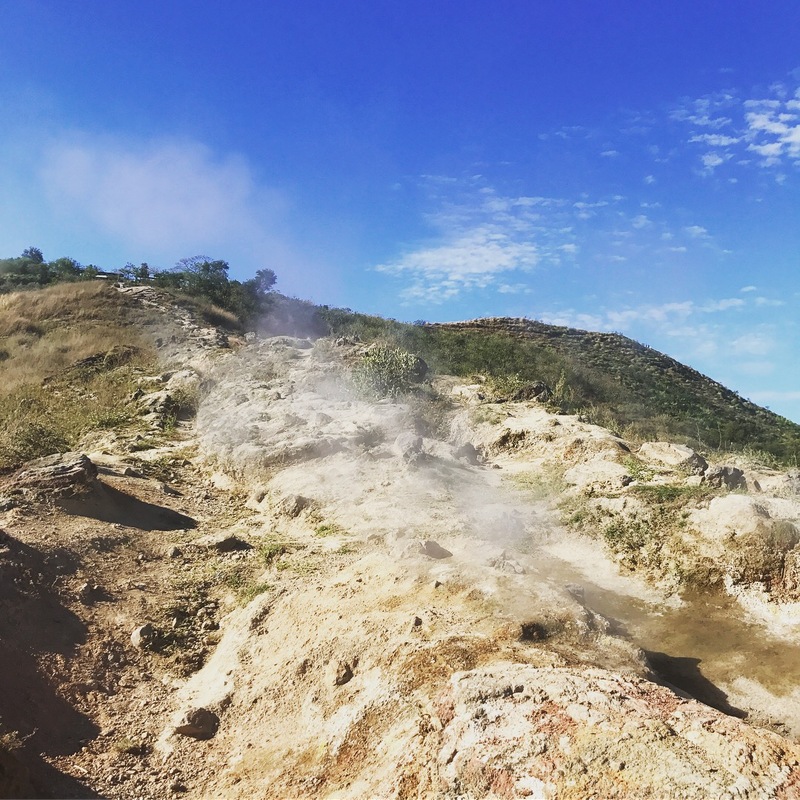 Be sure to take photos at the crater. The crater is filled with sulfuric water and you can see a small island in there too. You can also access the area with the red lava rocks for an extra P50 per person. It’s just an extra few minutes walk and it’s worth it. It was a pretty cool sight to see. 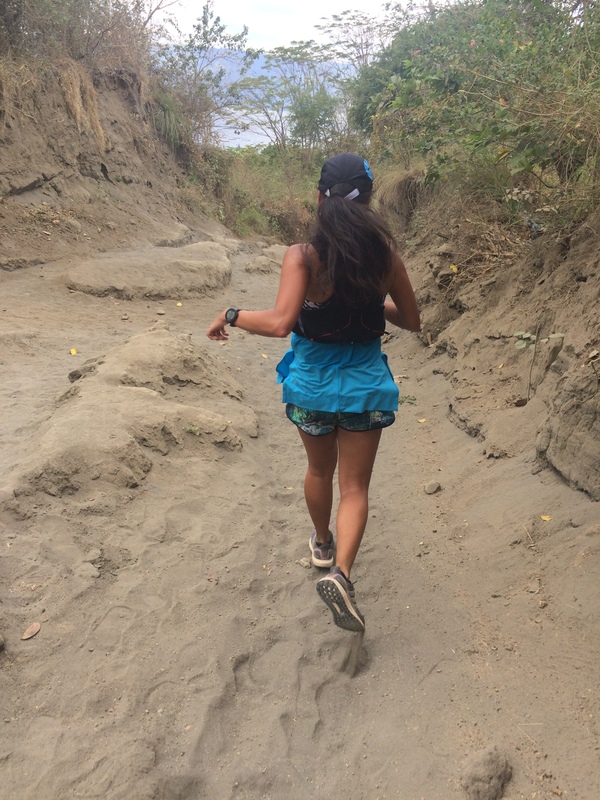 We bombed down the mountain after, which proved a little challenging trying to stay upright in sand while avoiding horse poop along the trail. 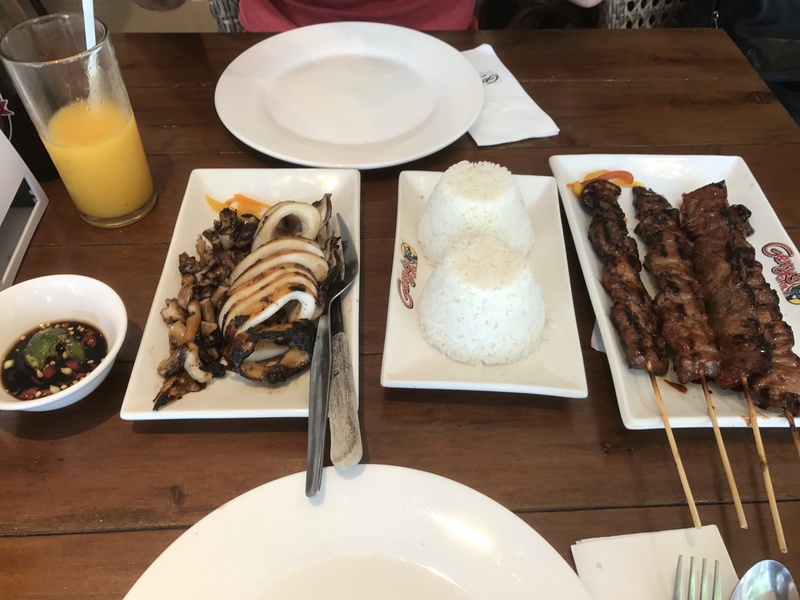 We were spoiled with so much delicious Filipino food, everywhere we went. Do yourself a favour and stay away from the “American breakfasts” and try the local cuisine. There’s a lot of meat and rice but it’s so tasty. 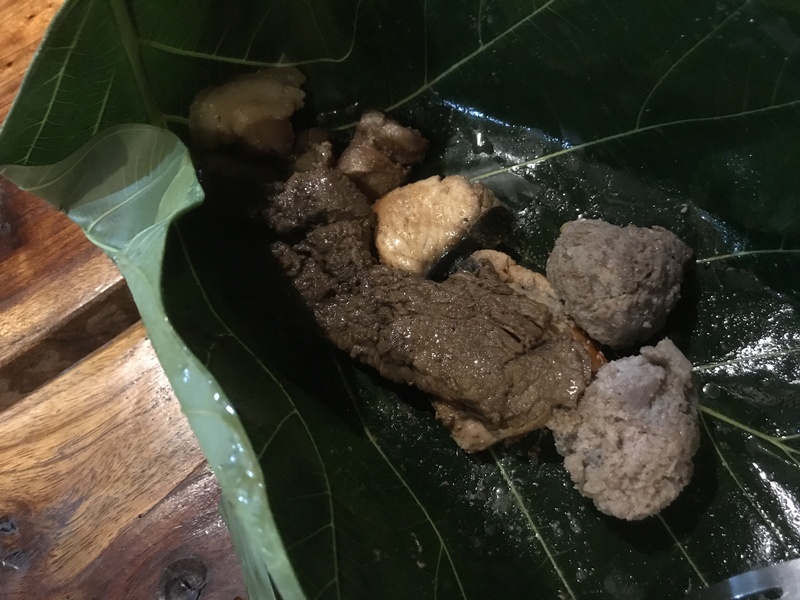 We had lots of fresh fish and other seafood, grilled meat, and in Batanes we ate a traditional meal served in leaves. 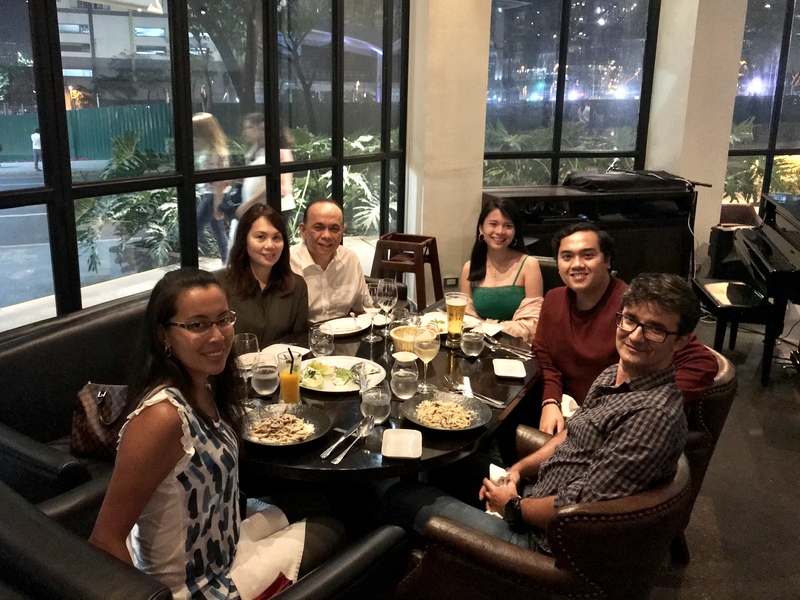 The best part about visiting the Philippines is seeing my family again. Lots of laughs were shared, stories told, we probably bought out most of Uniqlo and SM at one point, and of course, lots of food was consumed. I hope we see them again soon. Here are places where we stayed or ate at. 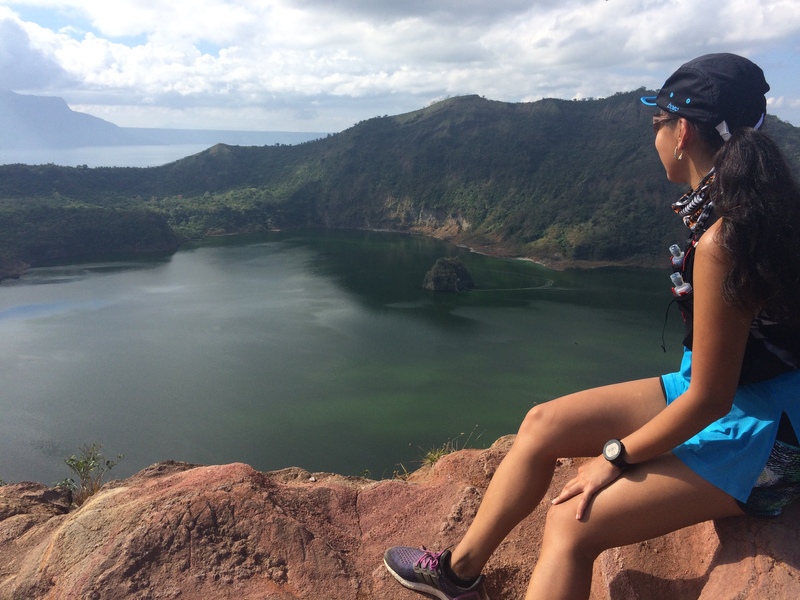 We highly recommend them, if you’re looking to book your own Philippine adventure. Ocean Pearl Travel and Tour – you’ll get handed a flyer at the airport, but I’ve heard of them thru a YouTube review. Great tours, delicious lunches and very nice guides. 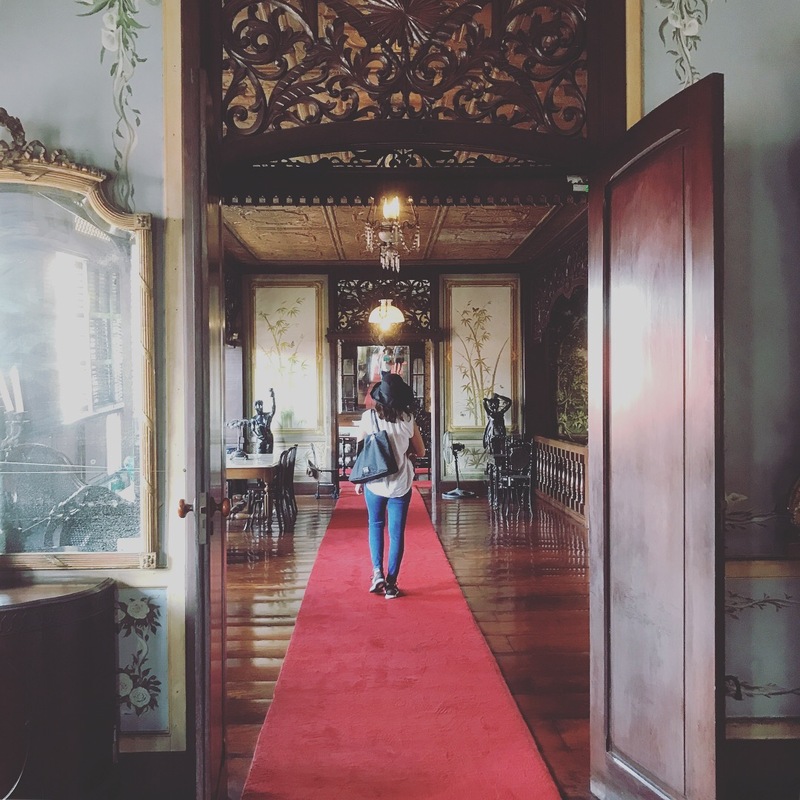 Fundacion Pacita – if you can, book your stay here. Bisumi Tours – My Tripadvisor Review – I have so many great things to say about my experience with Bisumi. 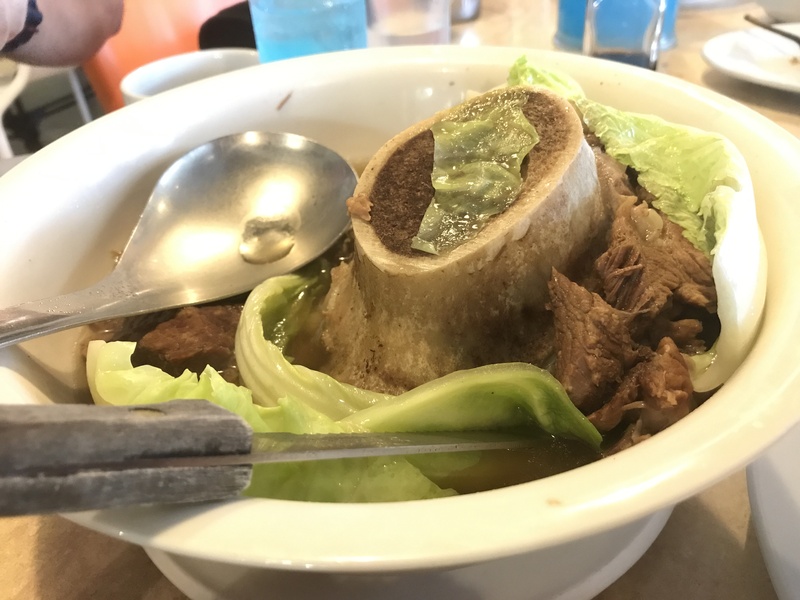 Vunong Dinette – My Tripadvisor Review – you need to reserve here as menu items are limited. 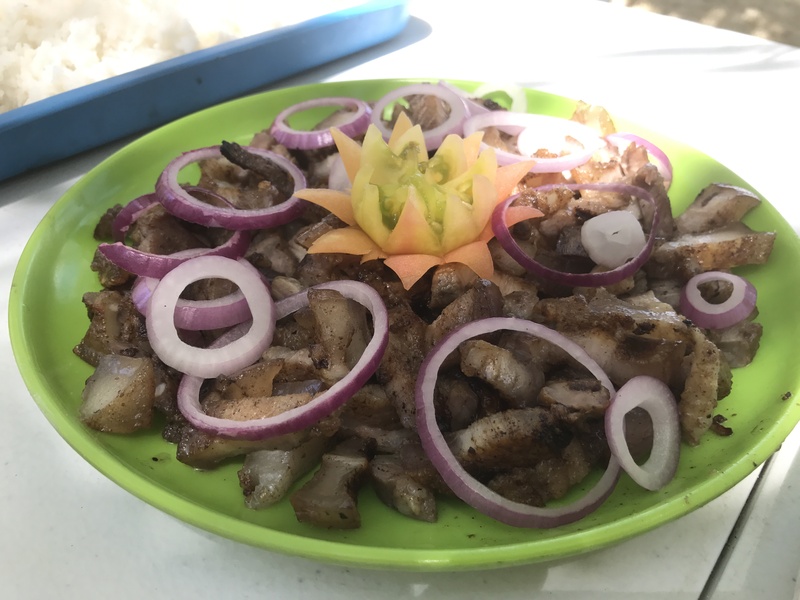 Cafe du Tukon – My Tripadvisor Review – This is the restaurant at Fundacion Pacita. Delicious upscale dining with a fabulous view. Thanks for reliving our journey with me. 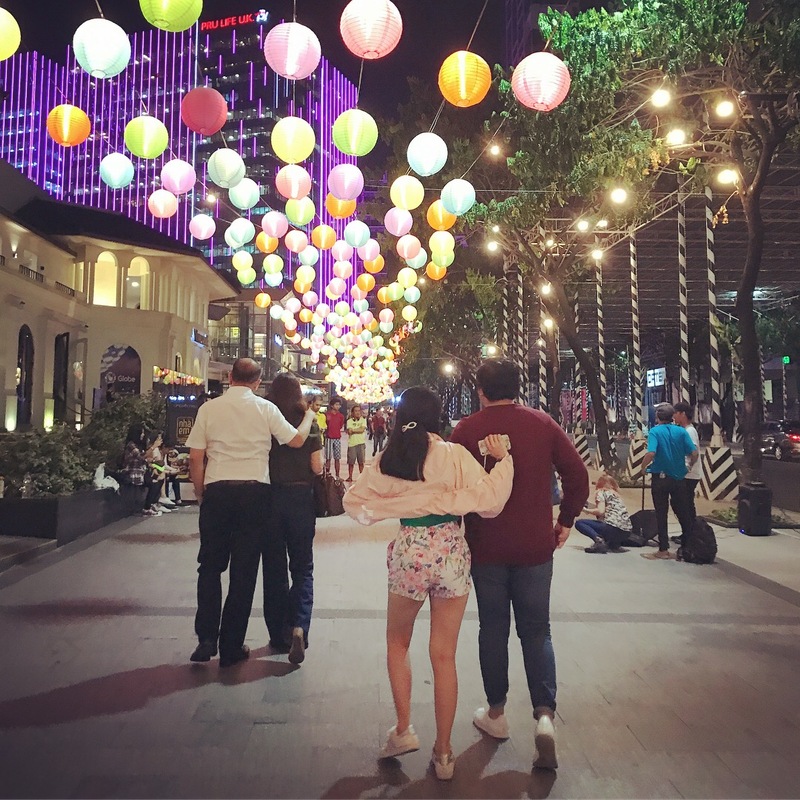 So many great memories were made… did this post convince you to check out the Philippines sometime? If not, what are your next travel plans? Comment below and share!